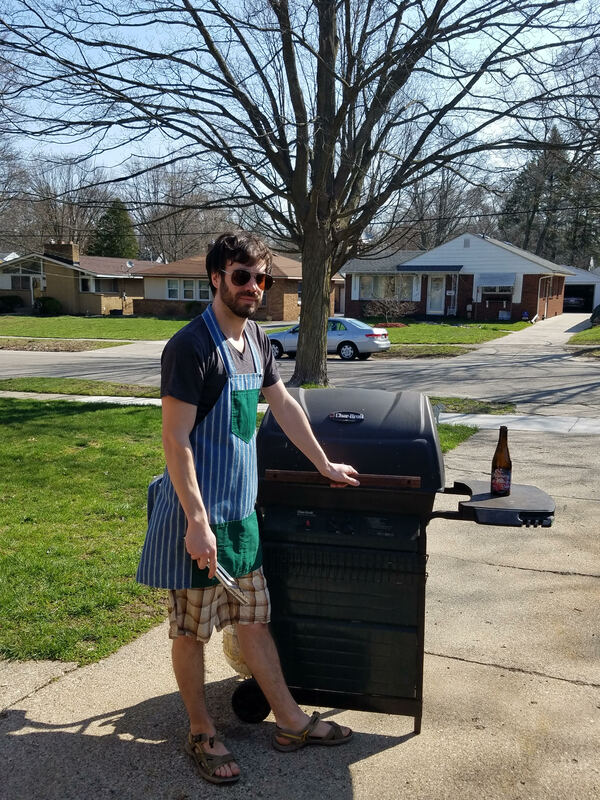 We have some beautiful spring weather to look forward to this month and with longer days and warmer nights, the grill becomes a focal point of our meals again! Grilling is one of the absolute best ways to add flavor to your meals without fat or sodium. Grilling gives us opportunities to expand the variety of foods and flavors we enjoy. It also means backyard parties and fun family gatherings! Dave is our protein buyer here at Doorganics and he works closely with our network of small local family farmers. Dave is also one heck of a grill master! See below for his Top 5 Grilling Tips! Also, be sure to check out the meat section of the shop. We make it easy and affordable to support happy, humane and healthy farms. 1) Invest in a Meat Thermometer: Using a meat thermometer takes the guesswork out of grilling. By knowing exact internal temps, you can remove meat at just the right time for the juiciest results. 2) Be prepared. 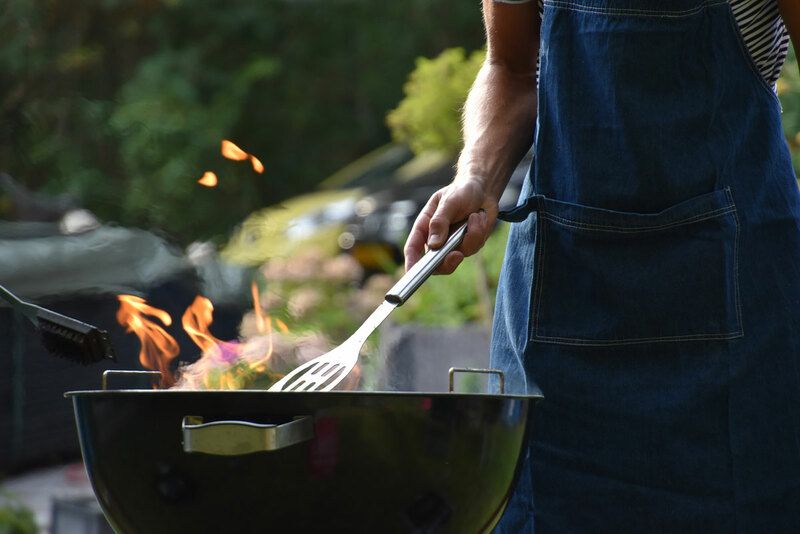 Have everything you need — food, marinades, tools, sauces and seasonings — grill side before you begin. Once you start, don’t leave the grill unattended. Keep small children and pets away. 3) Let it be. When grilling, resist the urge to repeatedly flip your food. Instead, give it time to sear; turning only when grill marks form. Waiting for meat to sear not only creates a more flavorful result but also helps to reduce sticking. 4) Tent the Meat: After you pull the meat off the grill, tent it with foil for 10 minutes. Allowing the meat to rest gives it time to reabsorb the juices. Don’t worry, it won’t get cold. 5) Quality Pastured Meats: Doorganics is proud to carry local & pasture-raised meats including chicken, beef, pork, lamb and more. Need help selecting the perfect cut? Send us an email and Dave will be happy to help. 6) Dave’s Bonus Tip – Remember to choose a delicious local brew to keep you cool. Dave’s current favorite….Founders PC Pils. 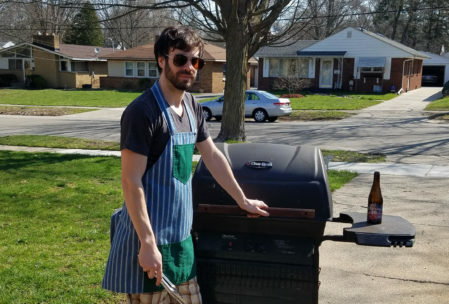 Cheers and Happy Grilling! Why is it important to eat pasture raised, local meat? Pasture raised meat from Doorganics is GMO-free, it tastes great, it’s produced without destroying the environment or threatening public health, and its sale supports responsible small farmers who choose to use sound agricultural practices. Plus, the animals live happy lives roaming wide open Michigan pasture. 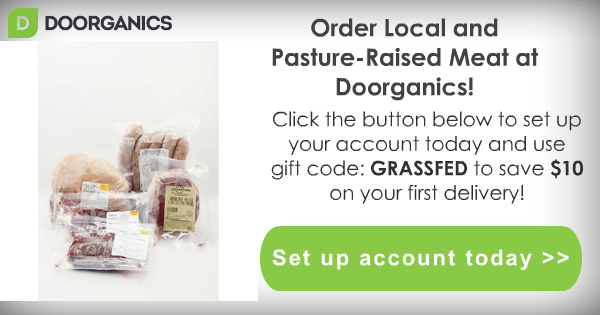 Set Up Your Doorganics Account Today & Save $10 on your first delivery! Thanks for visiting our blog today! Check out the rest of our website to learn more about Doorganics. If you have any questions “lettuce” know with an email to customerservice@doorganics.com. https://blog.doorganics.com/wp-content/uploads/2017/05/spatula.jpg 801 1200 Mike Hughes https://blog.doorganics.com/wp-content/uploads/2019/03/Screen-Shot-2019-03-04-at-1.15.58-PM-300x76.png Mike Hughes2017-05-09 15:59:072019-03-04 19:50:55Grab Your Spatula: It's Grilling Season!